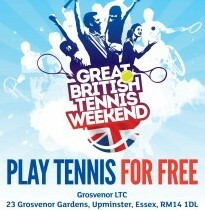 Come and try tennis for free at our family-friendly Open Day! Fun tennis sessions running throughout the day for all ages and all abilities, including cardio tennis and adult and children coaching taster sessions. BBQ over lunchtime period and tea shop and bar open.